Rapadura is a healthy alternative to refined sugar. 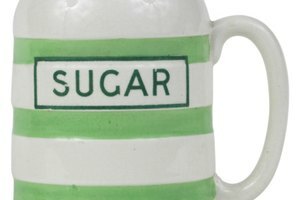 It's an unrefined sugar whose process keeps all the nutrients within the final sugar product. Rapadura has a molasses-like taste not found with processed sugar because processed sugar separates sugar from the molasses. Due to its sweetness, it can be substituted with other ingredients. If you're looking to use an unrefined sugar for baking, honey is a great alternative to rapadura. Lighter-colored liquid honey has a milder taste than darker honey and is therefore an equal substitute. Raw honey is honey that hasn't been cooked above 117 degrees Fahrenheit and will have a lot of the same nutrients as rapadura. Do not to give it to children under two years of age as their digestive system cannot process it. Use 1/2 cup liquid honey for 1 cup of rapadura and lessen your recipe's liquid content by 1/4 cup. 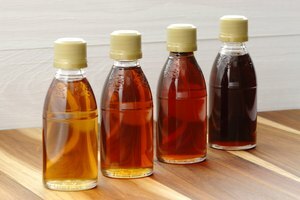 Pure maple syrup is the sap from maple trees that has been boiled down into its syrup form. It's incredibly sweet, much like rapadura, which makes it an appropriate substitute. To use maple syrup instead, add 1/2 cup to 2/3 cups for every 1 cup of rapadura. You will need to reduce the liquids in the recipe by one-quarter cup. Sucanat is dehydrated cane juice. It's similar to rapadura, in that is a combination of molasses and sugar, but sucanat is dehydrated, while rapadura is evaporated. They are both unprocessed and look similar. The taste is nearly exact to rapadura; you can replace 1 cup of rapadura with 1 cup of sucanat. 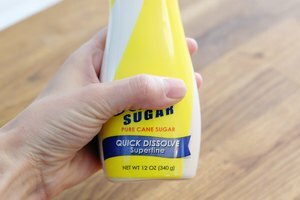 If looking to cut costs, white sugar is an equal alternative to using rapadura. It's similar in sweetness, but lacking in the molasses taste of rapadura. To use, replace 1 cup of rapadura with 1 cup of standard white sugar. Turbinado is raw sugar that's manufactured using as little processing as possible. It's made from cane juice and, through a filtration process, broken down into crystals. Turbinado granules are thicker than rapadura granules, but its taste is similar due to the molasses content. It can be used as an alternative to rapadora if ground in a food processor first to break down some of the larger crystals. In this way, it can be used cup for cup.